Okay, really, I cannot imagine the cheerful plastic Ahab who is sitting on Schmoo’s back saying that, but still. It is a great quote. And a tagline for a great photograph, courtesy of Brittany and Morganna. 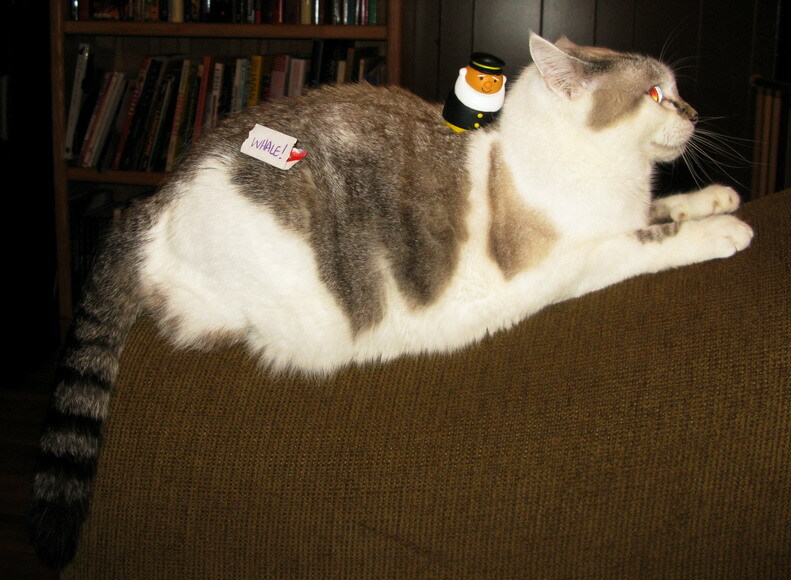 I would say poor Schmoo, but really, he didn’t care that he was having stuff placed upon his person for embarrassing photographs. He’s just too laid back for that. Stuff On My Cats time?